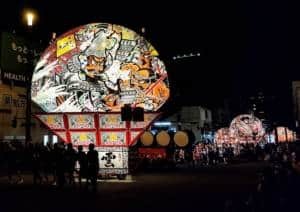 The Hirosaki Neputa Festival is a lower-key (but still spectacular) sibling of the much rowdier Nebuta Festival in Aomori City. 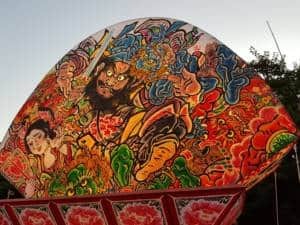 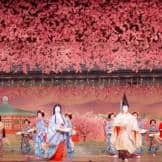 While the Aomori floats are a lot more free-form, Neputa floats in Hirosaki are mainly of a distinctive fan-like shape with scenes from kabuki plays on either side of the float. 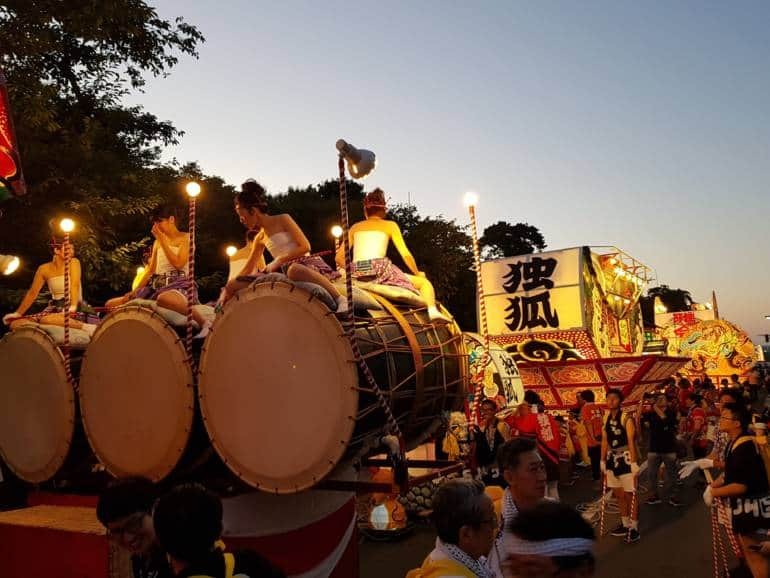 To chants of Ya-ya-doh!, the floats are wheeled along Hirosaki’s Dotemachi main shopping street starting next to the castle moat and then heading to the south. 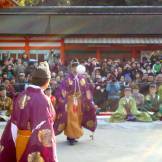 The attendants and paraders dress in distinctive Neputa kimono with a colorful sash around their shoulders, pinned with small bells. While there are reserved, seated areas along the route, there are plenty of free seating areas along the road – which are quickly grabbed by both locals and visitors. Some of the best vantage points are at intersections on the route where the floats briefly stop while young men spin the fan part of the float at high speed using ropes, sometimes flying into the air in the process. 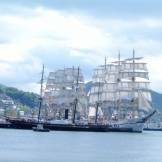 As with all the Nebuta festivals, booking well in advance is recommended if you don’t want to miss out on accommodation.